*Born in Cortona in 1469 into a Florentine family, Silvio Passerini went to Florence in 1494, where with the help of the Florentine nobleman Mariano Zefferini, he gained access to the court circle of the Medici family and began a career in the Church. Passerini enjoyed the protection of the young Lorenzo il Magnifico and subsequently that of Giovanni de’ Medici, the future Pope Leo X. He was appointed governor of Florence, Legate of Perugia and both regent and tutor to the nephews of Pope Clement VII. In 1512, the same year that the Medici family returned to Florence, Passerini returned to his native Cortona. His position gained considerable power with the election in 1513 of Giovanni de’ Medici as Pope Leo X. In 1514 he was given the Palazzo del Popolo in Cortona, which he immediately set about restoring. The same year the Pope granted him the authorisation to concede indulgencies in the cathedral of Santa Maria to whomever he pleased. In 1517 Passerini was elected cardinal and four years later he took up the appointment of Bishop of Cortona. Considerable evidence of his influence on the city remain today, although his most imposing work is without doubt the Palazzone villa he built outside the city. 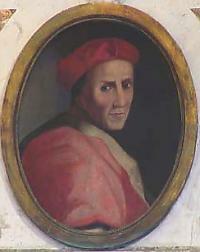 Silvio Passerini died in Rome in 1529, after spending the last years of his life in the service of the Medici family. 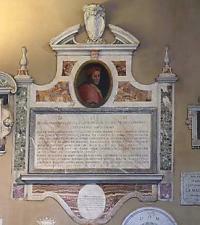 His tomb survives in the church of San Lorenzo in Lucina, in Piazza in Lucina in Rome.